There are times when the tumultuous emotion of a novel hinders an honest opinion. There are even times when the unexpected twists of an author’s imagining leave the reader with a quiet sense of baffled awe. Combined, these factors may result in a truly interesting review. Being only the second novel by Hemingway I have had the chance to read, A Farewell to Arms has left a powerful, albeit mournful impression. The story of a troubled ambulance driver during World War I, coupled with a thoroughly depressing conclusion, is classic Hemingway. Various themes including the morbid nature of war, the relationship between love and hurt, and the patterns of human nature can be found in this novel and even recurring in much of Hemingway’s literature. The unemotional male protagonist, Henry, is the the product of these themes, a victim of life’s suffering and its many complexities. There are aspects of A Farewell to Arms that require a slow mental digestion to appreciate the soul of the novel. Overall, I found the direct and terse prose of the writing a very accommodating feature to Hemingway’s themes. Henry’s mental dialogue quickly gives insight into the persona of the character. 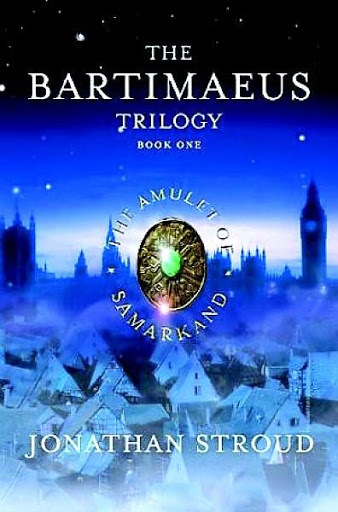 He is constantly besotted with various internal conflicts, all of which could lead to a certain self-understanding, but fail to do so as the book draws to a closure. The reader is left unpleasantly perplexed, in an unsatisfying way. This was obviously Hemingway’s intention as an artist; he was a crafting a portion of his spirit into words. The ending of the novel could be likened to the author’s state of mind itself. One of the most poignant themes or messages of A Farewell to Arms is the terrible price of war. Throughout the plot, readers will notice that Henry is progressively distancing himself from the harsh realities of blood and warfare. With his highly direct method of writing, Hemingway uses powerful imagery in a casual way to provoke understanding within his readers. The pain, brutality, and at times utter chaos of Henry’s situation is seen as a character building (or possibly degrading) force in his life. A Farewell to Arms was by no means written by someone who fully condemned war, but rather embraced the inevitability of it. Throughout the novel, Hemingway expresses his sentiment that war is merely the product of an already dark and tyrannous world. He accurately portrays the fickle nature of humanity; at times we can be cruel, and at times we can be murderers. However, we are also capable of compassion, integrity, and even nobility, despite society’s frequent attempts to forget or dispel true love. Yes, in a nutshell, A Farewell to Arms can be said to condemn war. However, I believe this sentiment is deeper and much more faceted in the mind of Hemingway. A second theme prevalent in the novel, and also one of Henry’s chief struggles, is the often correlating relationship between love and hurt. In the beginning of A Farewell to Arms, Henry and Catherine (his newfound lover) find comfort in each other. They find solace from their own mournings and inner demons. This relationship evolves dramatically throughout the course of the book, and soon becomes a driving force in either’s life. Henry becomes torn between this unprecedented love for a woman, and his drive to get back to the front as soon as possible. Henry understand the importance of his love for Catherine and how meaningful this type of bond can be in times of war. He realizes the emptiness of concepts such as honor and duty in the face of true love. This realization results in a terrific internal struggle. Henry repeatedly must come to terms with the “numb” mentality he adopted during war in order to open his heart for the woman he loves. Henry struggles with openness and sincerity but always manages to make a connection with Catherine. I believe Hemingway was expressing one of the great morals of life: love in the face of fear, destruction, and tyranny can compel the inner compassion of a person to manifest. There is no force as powerful as love, save possibly fear. Henry is besotted by both, an onslaught of emotional turmoil that rips apart his conviction and decimates his previously held superficial values. The genius of Hemingway is his tendency to be completely realistic. He has the remarkable ability to capture the true essence of human nature. All in all, A Farewell to Arms is a powerful symbol of the relationship between love and war in a man’s heart. It is an accurate description of the havoc a relationship can wreak on a man’s mentality. This novel is an incredible sentiment to what it means to be human, and the subtle intricacies of the human psyche are portrayed with striking accuracy. Hemingway captured the mutual destruction of both love and war. I could recommend this timeless classic to any reader, just for its invigorating if depressing breath of reality. However, some may dislike the harsh honesty in the authors word’s and cold precision in which he utterly nails human nature. I for one, appreciate this sincerity, this side of the story that only a few of the great classics sometimes expound upon. A Farewell to Arms is truly one of the most powerful pieces of literature when it comes to the effects of war on humanity. Readers should look for the connections and cause & effect relationships in this destructive, yet powerfully insightful novel. Synopsis: THE STORM HAS COME. The homosexuals, once an ostracized social minority, have taken over the world. They understand the angers of an overpopulated planet, usurped government power, and created a culture of perfectly engineered families. But Grace Jarvis and Dex Wheelock are heterosexuals—part of the government’s highly controlled backup plan for reproduction—and they have a problem. Grace is pregnant. Dex is the father. It is a crime that has only one consequence: banishment to the Antarctic Sanctuary, an isolated biological reserve where reproductive criminals are allowed to exist in peace, without disrupting the rest of civilization. Yet there are rumors that genocide has already begun and that the homosexuals are finally setting natural breeders on a path to extinction. This leaves Grace and Dex with only two choices: to succumb to the tyrannical regime, or run. Review: The Breeders by Matthew J. Beier is a heart wrenching story of love and hope. The author manages to weave an intimate tale of lovers while making a vast foray into controversial social issues and life values. Published in 2012, The Breeders has the potential to become a modern classic. Within its pages lies discovery and realization on an unprecedented level, one that could strongly impact culture and make one think twice about the fundamental values of being human. 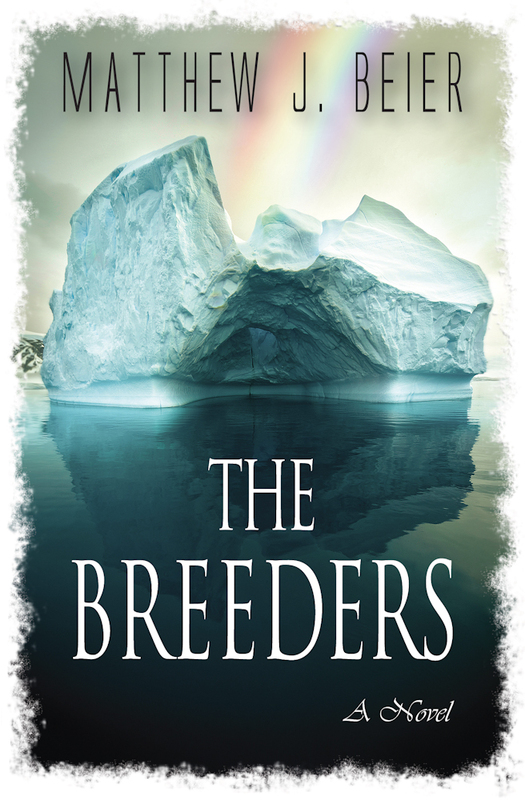 As a dystopian thriller, The Breeders takes place in the late twenty-third century. Technology has advanced, if not quite as extremely as one would expect. Society has shifted dramatically and not necessarily for the better. The world has finally recovered from the “Bio Wars,” which almost brought about the total extinction of humanity. The remaining population is considerably smaller and dictated by a highly conservative regime of sexual politics. A world government retains almost absolute control, even placing restrictions on the natural birthing process. Even more shocking is the fact that homosexuality is the new norm. Heterosexuals have become a minority and are in a constant and accelerating state of degradation. The Breeders has captured the beauty of two individuals trying to find value in a world where their kind must endure the condemnation of society. Solace cannot even be found with friends or family who struggle to hide their blatant disapproval. The mere act of producing a child via unplanned and natural reproduction has become taboo in this backwards world. The protagonists must face their own insecurities if they ever hope to find peace at the end of the road. 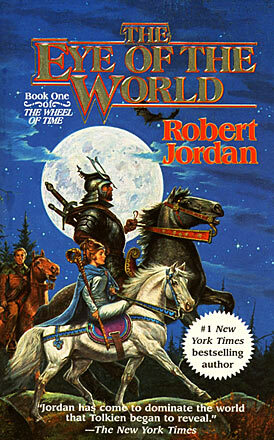 The storyline was one of those that actually made you stop thinking and feel your way through the novel. Understanding the motives behind Beier’s characters can only be done by stepping into their very shoes and feeling for yourself why they made certain decisions and chose particular paths. 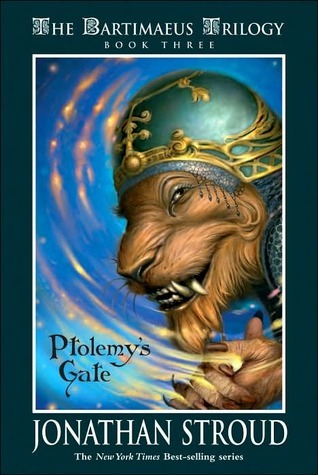 The humanity in his words was refreshing, almost reminiscent of Suzanne Collins, author of The Hunger Games. While reading, I felt the pain of Dex Wheelock as he struggled with the fear of taking responsibility for his own child, and I could almost taste the tears of Grace Jarvis when she realized she may never see her beloved father again. This is the kind of book that makes one realize how wonderful and terrible it is to be human. This is the kind of book that bridges the gap between sorrow and joy. While reading, I also stepped into the shoes of its author and began to understand the impact his life experiences have had on his integrity. Living in a society where being honest about yourself leads to prejudice and disdain is a carving experience. It whittles out a character like no other. Something truly remarkable about a book is its ability the capture the soul of the author. The Breeders has done this and more. The character of Beier is evident in every sentence: his passion, hope, and even a bit of fear. Matthew Beier is truly an exceptional individual, one who understands the difficulties of living in a largely intolerant society. I sympathize with him and know from what direction he speaks from. To find the willingness to reconcile with those who are opposed to his orientation is a courageous action. I can only hope to channel this courage when facing life difficulties of my own. Even though The Breeders ended (spoiler alert) on an incredibly dismal note, Beier was able to implement a sense of hope into the reader’s experience. 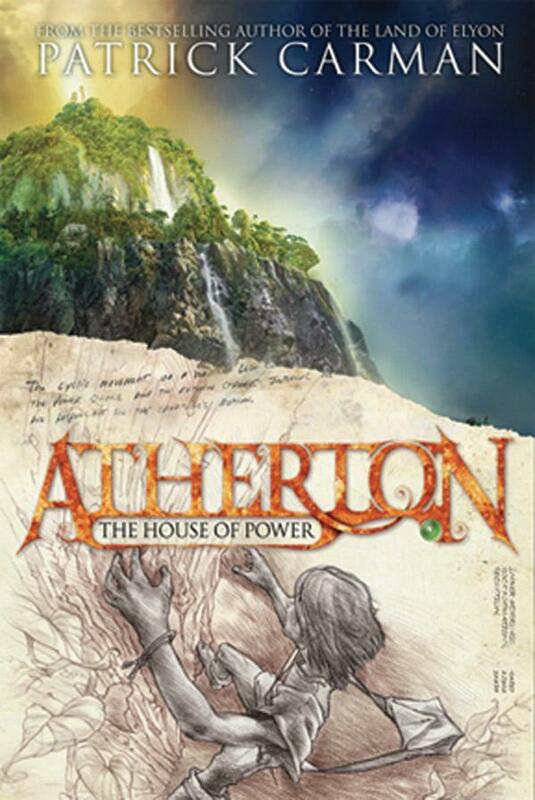 As the protagonists Dex and Grace were deceived by the very people they thought were helping them, the novel begins to show its true spiritual colors. Left to die in the frozen and apparently uninhabited wasteland of Antarctica, the couple with their infant child realize how futile their efforts have been to evade government. Everything the reader hoped for seems to be lost, and one may even end up hating the novel because of it. The author intended to write the end as emotionally honest as possible, which proves his persevering integrity. This was his intention, yet Beier could also not devise the ending to be entirely hopeless. By the fleeting glimpse of a rainbow, Dex departed life with God’s promise that life would go on. The story ended with a sobering and eye opening enlightenment. The empowering and stunning realization of The Breeders is revealed, and readers are instilled with hope that even the “worst of life may merely be a prelude for what is to come.” It was the perfect ending, one that speaks of life’s gift and the great mystery afterwards. The Breeders is one of the most heartfelt books I have read. There is sincere passion and inspiration between its covers. It’s one of those incredible works of literature everybody should read once in their lifetime, even if they disagree with what the author advocates. It definitely provides an enlightening perspective, and together with refreshing characters, a strong storyline, and superb writing, grants for a truly gripping read. It is my strong desire to see literary works like The Breeders impact society for the better. Intolerance only breeds conflict and creates a rift in our nation. If humanity is to rise above and meet new, more problematic difficulties head-on, we must realize how impeding our petty quarrels truly are. Denying rights for homosexual couples, including marriage, is a mindset that causes harm and threatens to derail any sort of political compromise. Personally, I can say that it hurts. Being unable to express your feelings for someone you love is heartbreaking and depressing. I severely hope that ‘traditional marriage’ advocates will someday understand the pain they inflict upon homosexuals who are otherwise no different from themselves. There is a bigger picture to life than trying to oppose the suffering we all endure. We can let it tear our hearts and minds apart, but we can also realize that it is a gift in itself: the opportunity to learn from our mistakes, grow because of our hardships, and appreciate the occasional moments of awe that comprise the foundation of spiritual experience. When death finally rolls along, we can depart reveling in the knowledge that life goes on, and what lies ahead is the ultimate mystery. I thank Matthew J. Beier for making this review possible and for unknowingly handing me the answer to a long-standing dilemma. All in all, I recommend this novel to readers who are not afraid to open their eyes. I recommend The Breeders to the ones who need it most: the hopeless, the inhibited, and the downtrodden. For all of those who need to hear it, this book has a message that rings loud and clear: It gets better. Lowering the Wall: Religion and the Supreme Court in the 1980s is an intriguing analysis of the erosion of church-state separation in a particular decade of American History. The author, Gregg Ivers, warns of the degradation of several important original intentions of the founding fathers. Written in 1991, this book provides a timeless insight into the dynamic and often conflicting political mindset of the 1980’s. With Lowering the Wall, Ivers has guided us through the disturbing evolution of the U.S. Supreme Court’s standing on two of the most important concepts expressed in the Constitution: the freedom of religion and worship, and the separation of church and state. He repeatedly expresses his concern that during the 1980’s, the Supreme Court began to noticeably depart from these vital constitutional values. One point that was consistently stressed by Ivers, was the rise of religious fundamentalism, or the rigid adherence to a religion in American society. This rise in zealous activism occurred mainly under the presidency of Ronald Reagan. Indeed, many fundamentalists received the backing of the Reagan Administration in various pursuits to undermine the concept of the separation between church and state. A couple of these shifty endeavors included reintroducing prayer to public schools, and influencing the content of school curricula and textbooks. These rigid fundamentalists also sought to benefit from government support (i.e. monetary endorsement) in a plethora of ways, including religious displays at the public’s expense. At the same time this was occurring, intolerance toward less mainstream religious practices grew. As one could reasonably infer, Ivers’ feelings toward these happenings are in no way supportive. The author also provides an integral background of the original intent of the Constitutional Framers. They, being our founding fathers, sought to give citizens a choice in personal worship and religious practices. The government was to maintain a neutrality, and through the two religion clauses of the constitution, the Founders sought to find the balance between governmental support for religion, and lawful encroachments upon religion. Ivers points out the irony in today’s situation; Supreme Court Justices professing fidelity to judicial restraint, or choosing to limit the exercise of their own power, while the ‘law of the land’ is seen to continually depart from the original intent of the Framers of the Constitution. It seems from Ivers’ point of view that adhering to original intent is not one of the prime principles of many Justices. 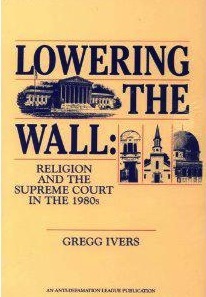 Probably one of the more important aspects of Lowering the Wall was Ivers’ analysis of the relationship between majoritarian religions and the court, particularly the Rehnquist Court. Indeed, the author brings attention to the indisputable fact that a certain deference has been shown toward mainstream religious practices. Sadly, this respect and acknowledgement has not been extended to many unorthodox or minority religions. Minority groups, such as Native Americans, Black Muslims and Jews were all “overlooked” by the current court of the 1980s, which intended to minimize the importance of their personal religious beliefs while grossly over-promoting the importance of counteractive government interests. The rise in mainstream religious fundamentalism was obviously highly suppressive toward those of the non-mainstream variety, and Ivers is only too quick to point this out. As any perceptive person could see, Gregg Ivers is a man with an opinion. He knowledgeably demonstrates his take on the relationship between religion and politics of the 1980s. He aptly attributes the increasingly restrictive attitude toward unorthodox religious beliefs to the rise in religious fundamentalism under the Reagan Administration. Indeed, I believe Ivers was attempting to uncover the root of the problem: Reagan himself. In his presidency, Ronald Reagan appointed a total of 376 judiciary positions, the most by any president. Three of these were Supreme Court appointments, which reveals that Reagan’s personal opinion held great sway over the entire judiciary system of the 1980s. In Lowering the Wall, Gregg Ivers places obvious emphasis on the biased nature of the courts in the 1980s. This political issue may be of no interest to some, but I find it a highly important matter, even today. Some may shrug this book off as a good example of liberal “nonsense,” but I would dispute that claim. Ivers obviously favors the adherence of original intent, and who but the most staunchy of corrupt politicians could favor otherwise? At the time Lowering the Wall was published, Gregg Ivers was the Assistant Professor of Government at American University, and I am sure anyone who shrugs off his credentials is more than a little ignorant. This author provided highly legitimate sources to back his claims: direct accounts of the court cases concerning the scope of what his book covers. It is my hope that this author’s writings continue to be read by interested individuals and persist long into the future. Lowering the Wall: Religion and the Supreme Court in the 1980s is one of the most intriguing books I have ever had the chance to indulge. I must admit, the dry nature of Gregg Ivers’ writing style was a mild hindrance to the readability, and yet I still enjoyed pondering his opinions. Ivers’ goal is to bring awareness to the lowering of the wall between church and state in the 1980s. This slow but evident transformation of the government’s interpretation of the two religion clauses took place over a decade. The evolution of America’s outlook was heavily influenced by a largely conservative judiciary branch and the president himself. This book left me with the impression that government is not always progressing in the right direction, and may actually take steps backward at times. I believe this happened in the 80s, and could even be happening now. Readers should approach this book hesitantly. Although dry, it is strongly opinionated. Ivers is very straightforward with where his allegiance lies when it comes to the political battlefield. The way Ivers explains the reasoning behind the turmoil of the 80s largely places Republicans at fault. In this case, I don’t know If I could blame him. It is of my opinion that all religious beliefs and practices are equal, or in fact, one and the same. Different names have similar meanings, and diverse practices have origins akin. By law, in the United States, government is to give no preferential treatment to one religion over another. Religion cannot be endorsed, nor can it be condemned. I believe this entire system was based on balance, of which our founding fathers were the prime constructors. Irreverence or a failure to adhere to this concept can only lead to more turmoil, and disrupt the already precarious relationship between government and the people. I urge and implore the people of our nation to open their minds, to see the broader outlook. This is vitally important if we are to remain unified and stoic in the coming times. Overall, Lowering the Wall is an excellent read for those whose hearts are set on politics. I found it interesting myself, but than again I am a bit of political speculator. Gregg Ivers is truly an intelligent individual, capable of expressing his opinions in a subtle, yet lustrous manner. Readers should strive to understand the connections Ivers frequently demonstrates, and understand the points he makes about the referenced court cases. All in all, I discovered this book to be well-rounded and quietly powerful. 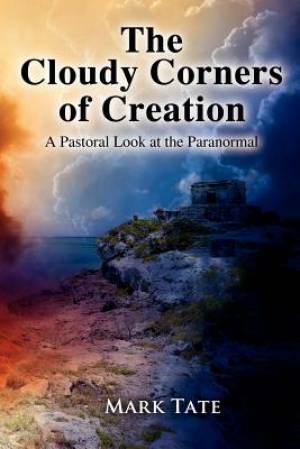 Synopsis: Dr. Tate has written an introduction to the subject of the paranormal for seekers of all faiths, especially Christians. He has surveyed a large number of books, articles, websites, television, and radio programs in his presentation of the subject of the paranormal for those who might normally shy away from the subject. Included are chapters on UFOs, near death experiences, prophecy from non-Christian sources, and a host of other subjects. Anyone interested in the paranormal from a sympathetic but questioning perspective will enjoy this read. At this point in time, what is most needed in this world is understanding between different spiritualities and religions of the truth of who and what they are, what they practice, and what they believe. This truth rings clear throughout his book as Tate tries to uncover or at least bring attention to the cloudy corners of God’s great creation. I can’t commend him enough for his bravery of walking where other Christians fear to tread. I hope his actions inspire others to blaze their own trails and realize dogma can be interpreted in more than one way. If this message is to be taken literally, you will understand its foreboding nature. Humans have sinned nearly incessantly in all of recorded history. When Judgment Day arrives—if there is such a thing—our fate is sealed in a nice high quality envelope. Postage paid. Are we to pay for our misdeeds? Will God have mercy? Currently, faith is providing the only answer. From reading The Cloudy Corners of Creation, I have learned much. I realize that we have to look at the unknown with both our eyes and our heart, and only then can understanding the truth become possible. I thank Mark Tate for this stunning realization. All in all, as my first ever non-fiction review, things went pretty smoothly. The Cloudy Corners of Creation is an insightful read on the more speculative aspects of nature. Readers who are interested in the paranormal and occult with undoubtedly savor this. I look forward to a possible interview with the author which is always a plus. So until then, faithful readers, au revoir!